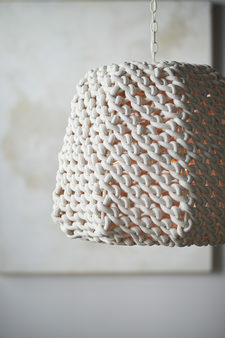 Pendant light features hand-woven natural cotton cord around a powder coated metal frame. 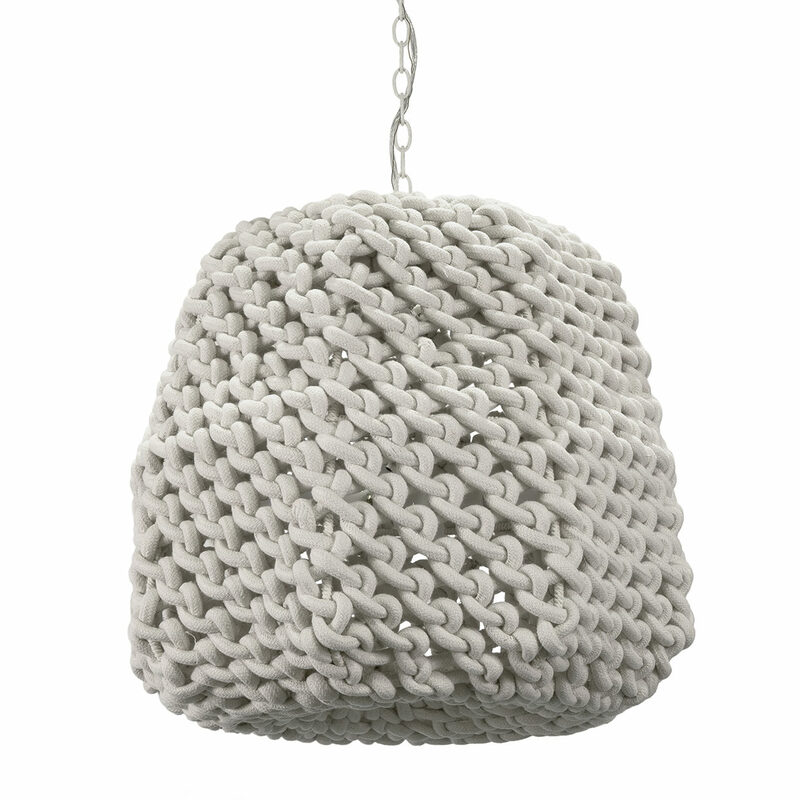 Pendant comes with an off-white finished chain and canopy for hanging kit. Professional installation recommended.